Looking for ways to spruce up your home without undertaking a major renovation project? Consider decorating your French patio doors. Here are some tips from Renewal by Andersen® of Cincinnati. Window treatments add visual interest to even the most plain-looking window. They also give you more privacy and better control over the amount of sunlight that enters your home. Floor-to-ceiling curtains and vertical blinds are popular window treatments for French doors. These window treatments can be installed on the wall space above the door frame, keeping the door intact. Roller blinds are window treatments that can be installed over hinged door sashes. If your French doors are still within warranty, ask your door contractor if installing them will affect your warranty. There are certain types of roller blinds that can be installed without drilling, but they may not be as sturdy. Note that roller blinds are not as effective on sliding patio doors because of the overlapping sashes. Instead of the popular recessed ceiling lights, consider a chandelier. Choose low-voltage LED bulbs so they don’t consume too much energy. Ambient lighting on the patio can also highlight your French doors from the outside. French doors are a great canvas for custom holiday decor. Whether you have people coming over for your Fourth of July barbecue or Thanksgiving dinner, you can hang your season-specific decor on the patio door sashes. Hinged doors are ideal for such decor; much like roller blinds, you don’t have to worry about the holiday decorations falling off when you open the patio doors. Hang them on the indoor-facing side so they won’t get damaged by the elements. 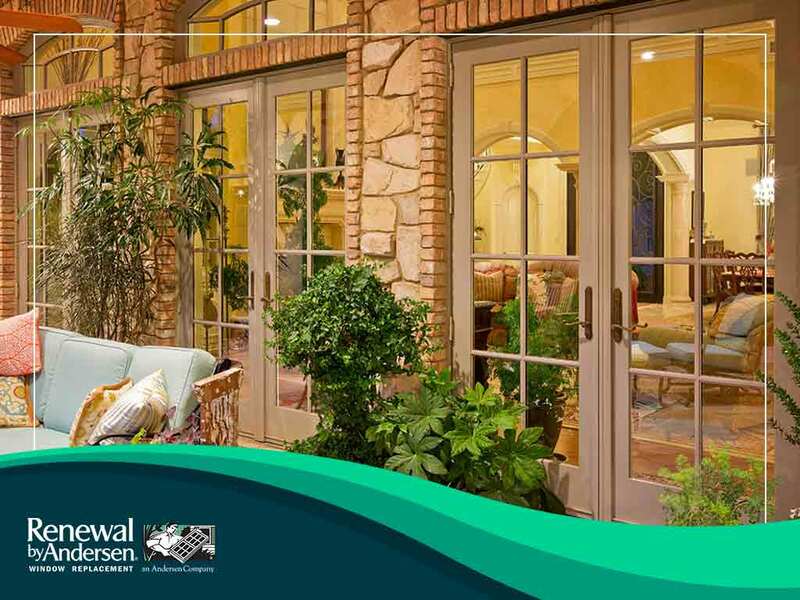 To learn more about our custom patio doors, call Renewal by Andersen of Cincinnati today at (513) 283-8981. You can also fill out our contact form to schedule a free consultation. We serve Cincinnati, OH, and the surrounding areas.